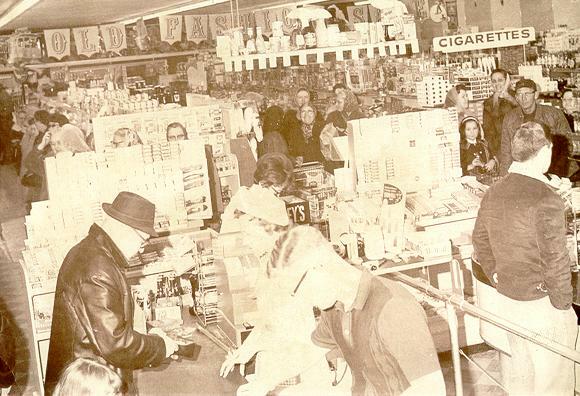 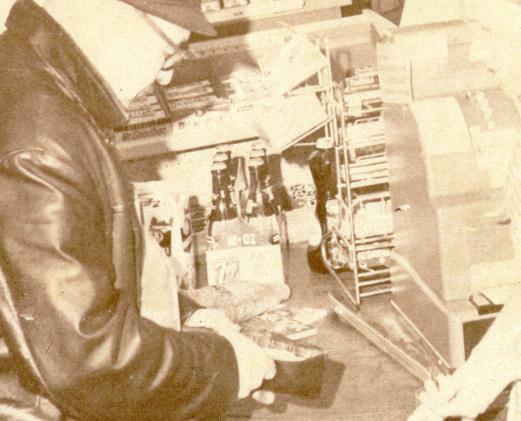 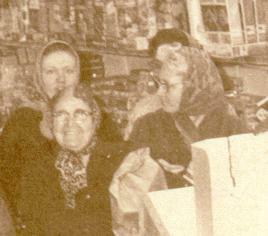 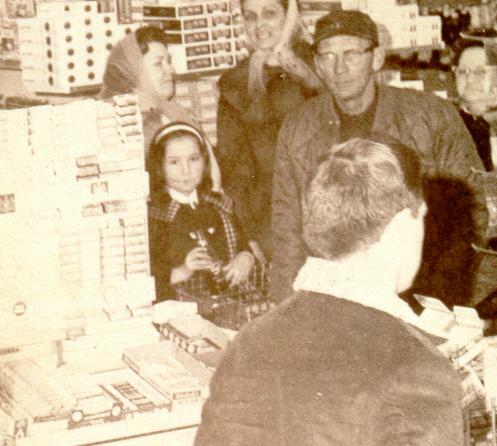 This is an early photo of Poindexter's IGA Store in Leroy Illinois.The store opened in December 1959.Lots of smiling customers can be seen in this one.The cashier is Babe Henson and the bagboy is Donny Poindexter. . . . ..